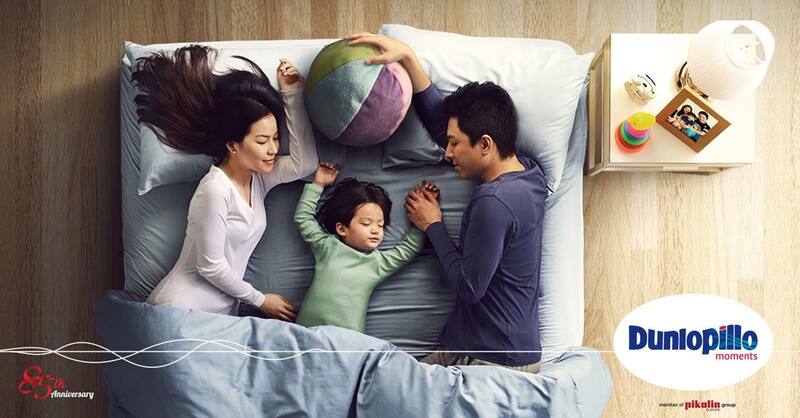 CHASING FOOD DREAMS: MyDunlopilloMoments … Every Mattress Has A Story! There’s a reason why getting enough sleep is crucial to our health. We need sleep. We need at least a minimum of 8 hours a day according to medical research. The circle starts when we are born, where most of the hours in a day are spent sleeping. Then as we slowly grow, our sleeping hours slowly also reduce till we get to the much older age and sleeping actually becomes even more important. When we sleep, our bodies get to rejuvenate and our organs get a rest from all our daily active activities. To ensure one gets to sleep well, one certainly has to have a good and solid mattress and pillow. Our mattress and pillow expert Dunlopillo makes it their priority to make the best mattresses and pillows to cater to everyone’s individual preference. Leaving no corners unturn, one can be assured that Dunlopillo is still working every day to improve their quality mattresses and pillow with the latest evolving technology available. This holiday season, why not check again if it’s time to get a new mattresses or pillows? If you are like me, chances are you haven’t changed your mattresses in a long time. 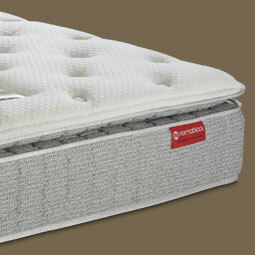 A good and solid mattress with support is crucial to our body posture and our sleep. We also need to ensure that our mattress is also clean to clear dust mites that can be the culprit to a few health issues such as allergies. Though I may be sleep deprived at times, I do admit to feeling so much better when I get enough rest and sleep. I used to also have a posture problem and so when I realize that my mattress was too soft for me, I switched over to a firm mattress and my posture was so much better than before. A good pillow will also help with sleeping. Sleeping with the correct pillow will definitely help one to avoid neck pain and sleepless nights. So choosing a solid mattress and pillow is my top priority now as I want to ensure that me and my family gets a good night’s rest everyday! 01) Sleep and forget about everything else… they or it can wait till you wake up! This Christmas, Dunlopillo letting you create your precious Dunlopillo moments at their Facebook page! This is your chance to capture your best Dunlopillo moments and win a RM500 Dunlopillo Voucher. Then shopping for a new Dunlopillo mattress is going to be less heavy on your pockets. The Top 10 comments with the most “Likes” will each win a RM500 Dunlopillo voucher. Don’t forget to tag #MYDunlopilloMoments in your photo upload. Hurry up… few more days to go as the contest ends 25 Dec 2014. Here’s MYDunlopilloMoments with my precious! Head over to Dunlopillo at their website www.my.dunlopilloworld.com/Home or Facbook: www.facebook.com/dunlopilloworld to find out more about sleeping for life! Good quality mattress is really important for better sleep. Many of my family members use these and we really like them, mainly because they're better able to keep their shape than an ordinary mattress, so it gives more support in the night. Tried Dunlopillo pillow together with my adjustable beds for over 20 days and everything looks great! thanks for sharing! Mattress Firm promo code 2017 save $250 on the best mattresses ever. They offer free shipping on all orders over $500 on all online orders. The most effective method to get the correct sleeping pad for your own, youngsters or family. What's more, why a flexible foam sleeping cushion is the best for you. 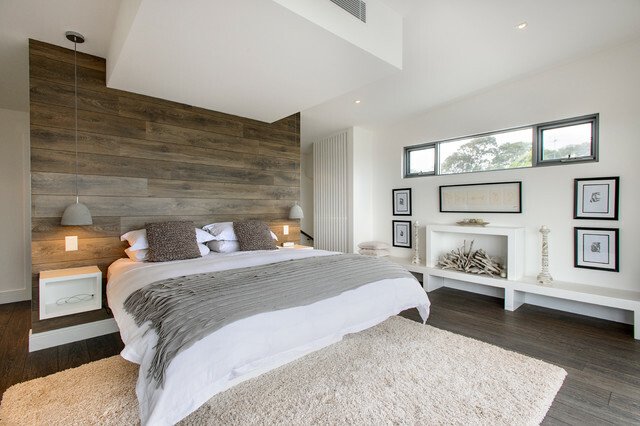 This article will enable you to clear everything before acquiring another bedding. I find http://toptenpillow.com this very good website for the best pillow. you can visit this site.